The FBI has stated that a burglary occurs every 14 seconds and a robbery takes place every 1.3 minutes in the US. 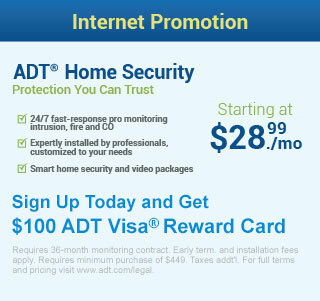 Significantly help reduce the risk of your home being burglarized by adding a home security system. If you do decide to install a home security system, it is important that you get the one that will be right for you. Below you will find three things to look for when comparing home alarms. Cost is always an issue no matter what you are doing, this being no different. Installation costs are going to be one important factor that you must compare when choosing an alarm. The companies of the alarms you are considering should give you an installation price quote. Make sure to inquire on what equipment you receive with the package you choose if there is a charge for additional sensors or detectors, and whether there are any other one-time charges or taxes that are not included in the quote. Similar to one, you need to ask the company what they will be charging you to have your system monitored. If you have added additional detectors, like carbon monoxide or smoke detectors, ask if the company has included monitoring of those devices in the quote. The other big thing to ask about monitoring is who will be running the monitoring stations. In a case of an emergency, it is important that the person monitoring your home is able to handle the system and get you the help you need. If there are not professionals monitoring the systems then you may want to avoid that company. Finally, it is time to look at the alarms themselves. 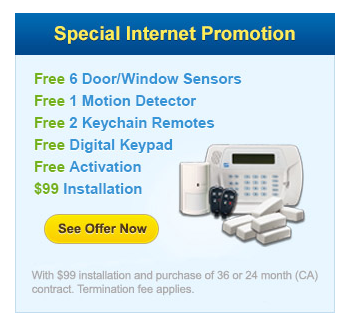 You will need to decide between a hard-wired or wireless alarm system. Hard-wired is better for buildings being constructed and wireless is better for established buildings. Next, decide in which way you want to communicate with the system, either a standard land line or cellular connection. Check to see if the alarm you are looking into detects carbon monoxide levels and fire, which should be a must with your alarm. Flood detection is nice as well if you are in an area where flooding may occur. Most importantly, look to see if you are able to easily monitor the system from your cell phone or computer, which will allow you to constantly stay up-to-date on your home’s safety. There are many things that you could look for when comparing home security alarms, but the three listed in this article are the most important factors that will help you narrow down your list to the home alarms that will be right for you.